As vendors and buyers gear up for another season of sales, Farmers Guardian take a look back at some of 2017’s market highlights, reflecting on a year of spectacular trade. HITTING the right notes at the February Stirling bull sales was March 2015-born Beef Shorthorn bull Glenisla Jackpot from Major J.P.O. Gibb, Blairgowrie, which broke a breed record when it sold for 26,000gns to the Uppermill herd of James Porter, Lisburn. By the Australian sire Broughton Park Thunder and out of Glenisla Desire, Jackpot only stood second in its pre-sale class, but came to the fore the following day to break the breed record. Shorthorn bulls were in demand throughout the sale, concluding in a total of 65 bulls levelling at £5,914, which was up £1,566 on the year. AT the October Stirling bull sales fixture, all eyes were on the cows and heifers which were offered at the dispersal of the Sterling Simmental herd owned by Boddington Estates, Cheltenham. 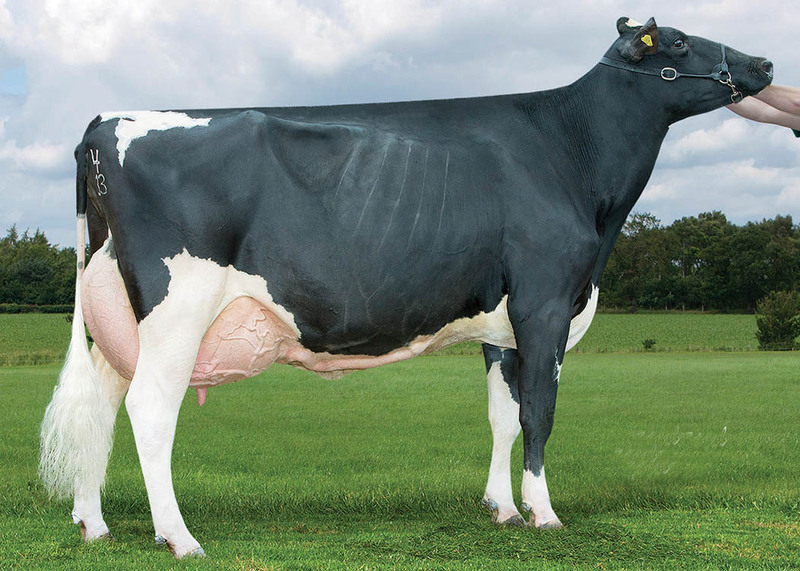 Breaking the female breed record by an outstanding 10,000gns was March 2016-born maiden heifer Sterling Bacardi’s Hawaii, which was eventually knocked down for 28,000gns. A daughter of Annick Exocet 13 and out of Sterling Naomi’s Bacardi, it sold to Irish pedigree breeder William Dodd, Saintfield, Co Down. The sale also saw the successful in-calf show cow Sterling Celia’s Fifi and its 10-month-old heifer calf sell for 22,000gns to Harte Peat of Co Monaghan. 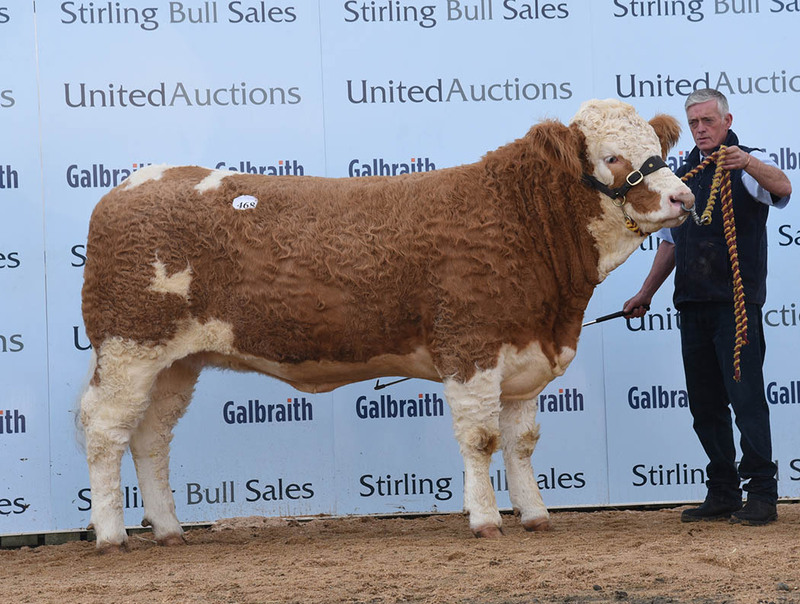 Legendary Salers bull sells for 15,000gns (Castle Douglas, Wallets Mart). SALERS saw a new breed record set this season, when the bull Bacardi Legend from Roy and Adam Crocket, Denholm, sold for 15,000gns at Castle Douglas. After standing pre-sale champion, the May 2016-born Gulliver son, which is out of a home-bred bred dam, was the pick of John Martin, Dalry. 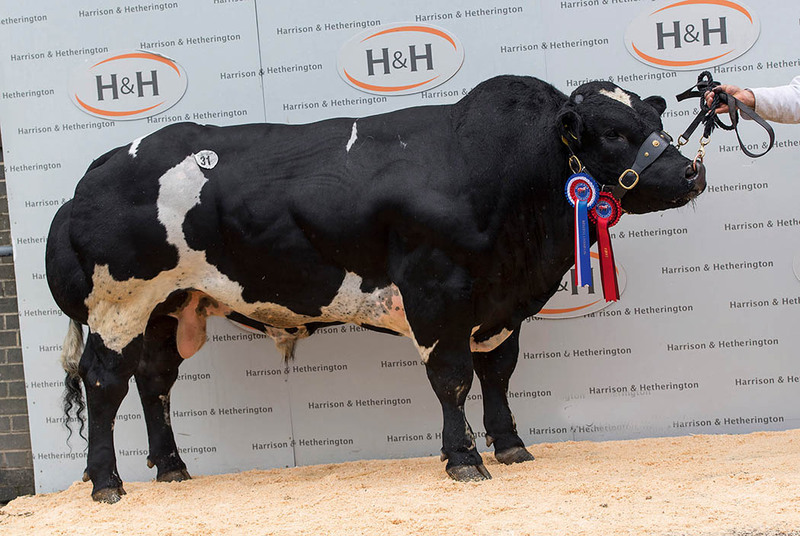 The sale reflected a rising demand for breed, concluding in a final average of £5,810, which was up a solid £1,048 on the year. AT Carlisle, it was the turn of the Dragon Blues British Blue herd of G.W. and K. Williams, Lampeter, which set a new breed record of 24,000gns with the bull Dragon Blues Kai. Born in May 2015 and by Tweeddale Ebony, it is out of the Nether Hall Buster daughter Dragon Blues Gweno. It had stood reserve in the pre-sale show before being the choice of T.E. Jones and Co, Sennybridge. 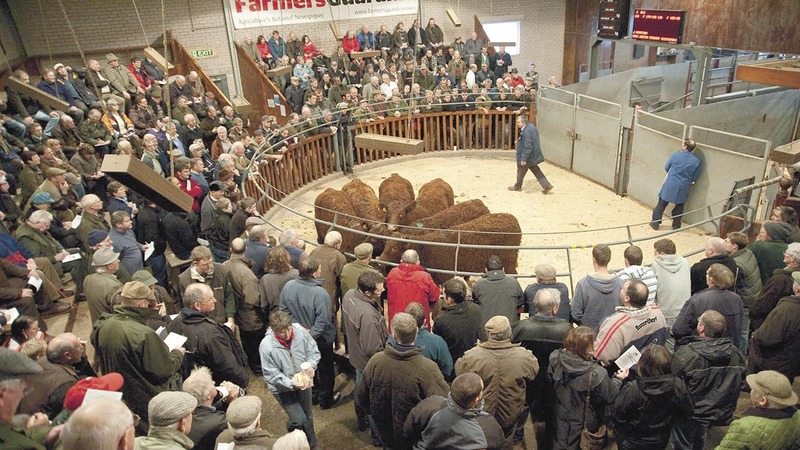 A total of 64 bulls averaged £5,717.58, which was up £611.08 on the year. A TOP price of 18,000gns was achieved at the on-farm dispersal of the Wyndford dairy herd owned by Wilfred Maddocks, Newport, Shropshire. Trade topper was Wyndford Sanchez Erle 10, an EX93 cow which was the pick of Holland-based breeder Cees De Jong, Hoogblokland. By Gen-mark Stmatic Sanchez, it is out of Wyndford Damion Erle 3. The Erle family was in keen demand, with the sale leader’s dam Wyndford Damion Erle 3 selling for 5,100gns, while Sanchez Erle 10’s yearling daughter, Wyndford Sanchez Erle 11, made 5,800gns. 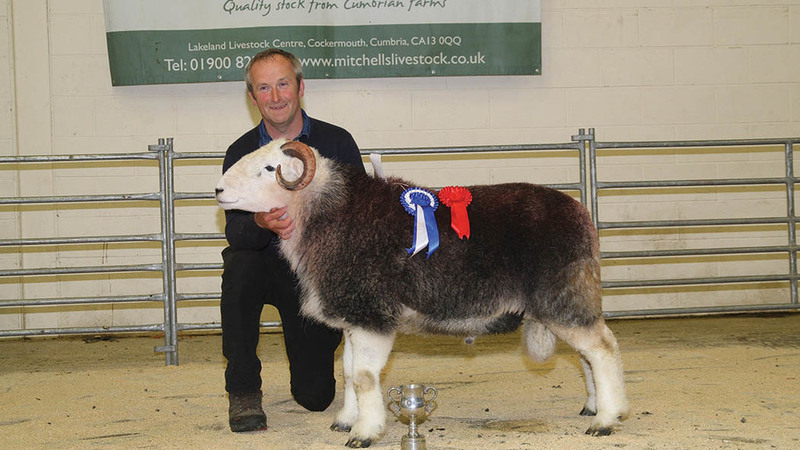 A NEW Herdwick breed record was set at Cockermouth’s annual two-day breed sale, when a ram sold for a 10,000gns. Record-breaker was the reserve champion, a shearling from A. Hartley, Broughton-in-Furness. 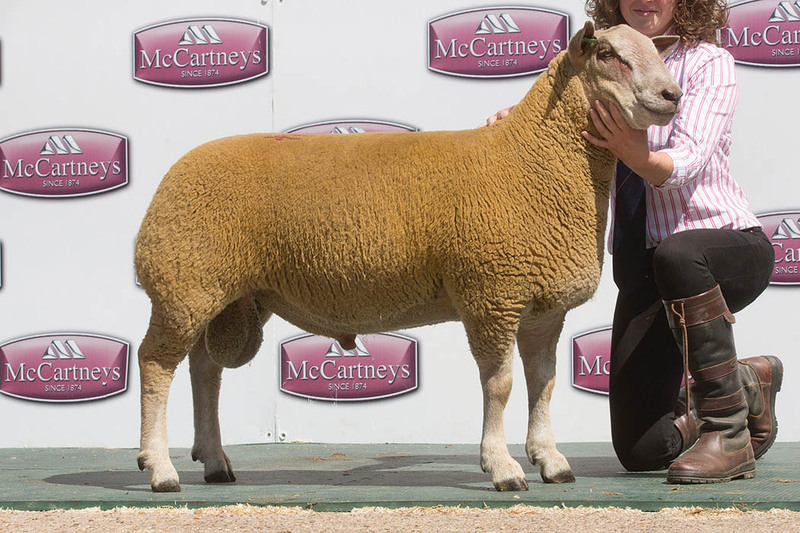 Backed by generations of Turner Hall breeding, it is by a home-bred ram and joined the flocks of James Rebanks, Penrith, and Richard Weir, Keswick. In total, the sale saw 11 rams break the 2,000gns barrier and more than 37 sell for more than 1,000gns. DALEBRED sheep also came to prominence this year when the breed saw two new records set at Bentham market. A shearling ram sold to £10,000, while a ram lamb hit £2,200. Topping the price list was a ram from M. Taylor, Tosside. 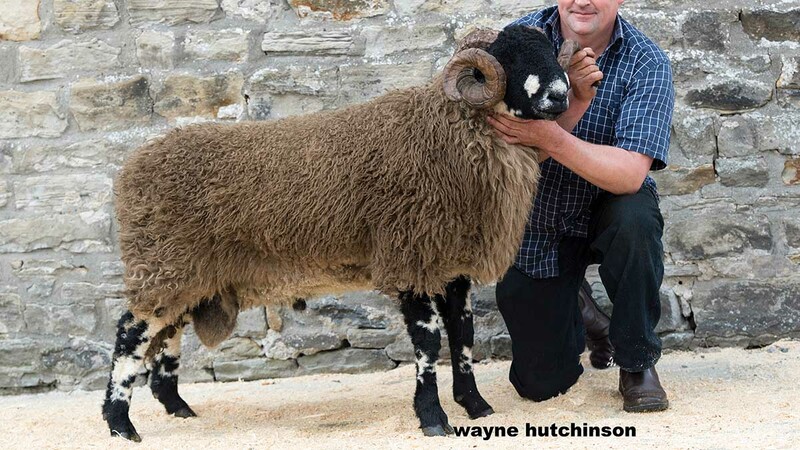 By 11/2103, a ram bred by John Harrison, Blubberhouses, it is out of a ewe with Penyghent breeding and sold in a two-way split between Frank Brennand, Ellerbeck, and John Dawson, Lancaster. The record price for a ram lamb was broken twice with lambs from Richard Coates, Carnforth, both trading for more than the previous £800 record. 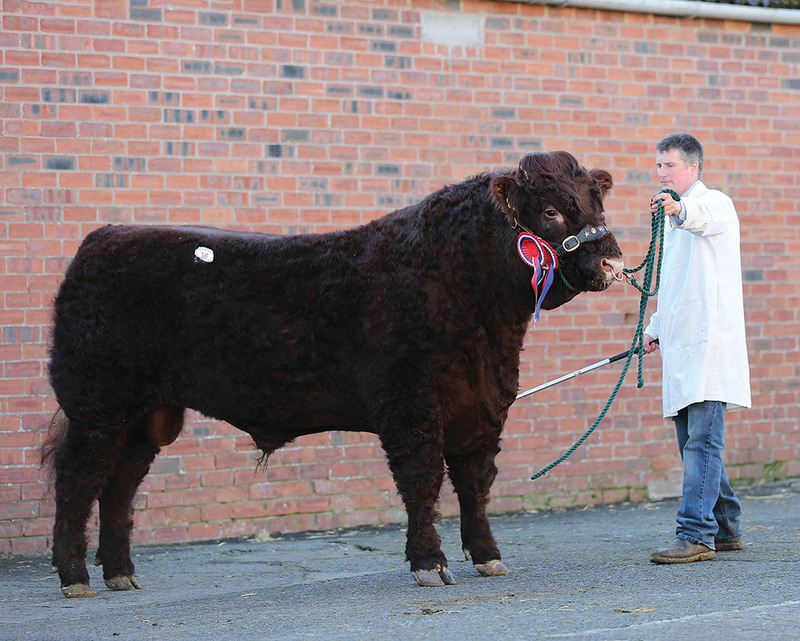 Section leader at £2,200 was a 114/316 son, which sold to J.M. Brown, Lofthouse. 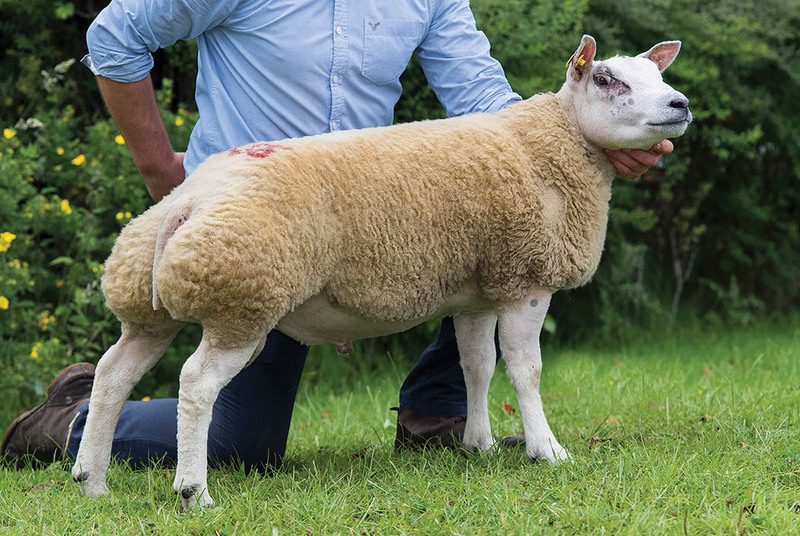 CHAROLLAIS sheep sold to 25,000gns at the National Premier sale, Worcester, held during summer, trumping the previous breed record of 10,500gns which was set in 2008. Star of the show was the ram lamb Knockin Shockin from Abbie Moseley, Oswestry, which is by the 3,200gn ram Oakchurch Ruben, a 2016 premier sale purchase. Out of a home-bred shearling ewe, it sold to Shropshire breeder, Robert Gregory. Ram lambs were certainly the order of the day with other lots making 9,000gns and 7,000gns twice. THE Crawford-based Midlock flock owned by Allan Wight and team were on top at several high profile sales this term, including the annual Hawes Bluefaced Leicester fixture, where they set a new ram lamb record of £37,000. 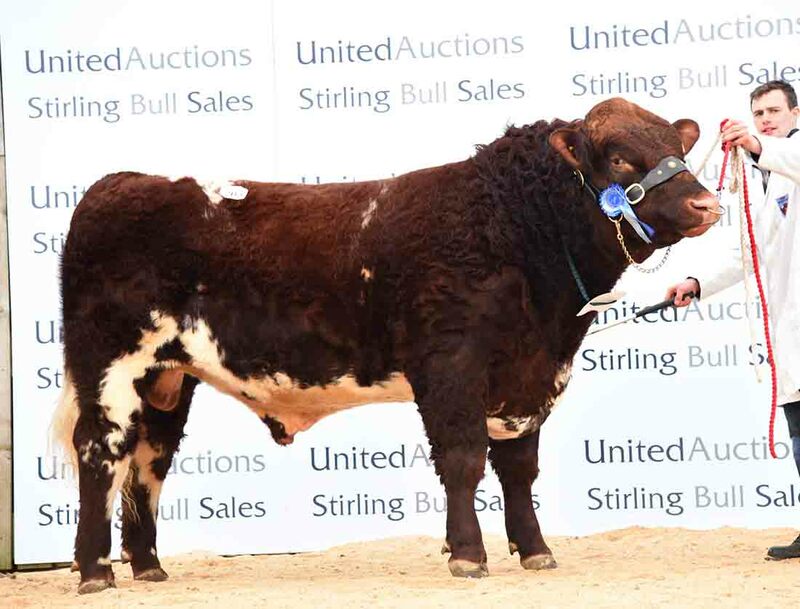 Trade was described as ‘electric’, as the sale leader, a J6 Hewgill son, sold in a two-way-split between Jamie Pirie, Blarnavaid, and Andrew Campbell, Drimsynie. 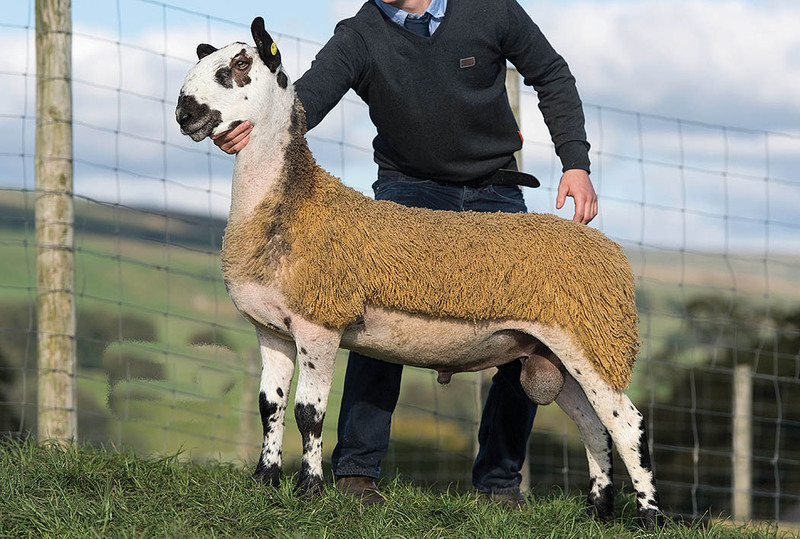 Out of a ewe by B4 Tanhouse, which has bred more than £40,000 worth of rams, the record-breaker helped the Midlock pen achieve a final sale average of £6,911 for nine lambs. RAM records were smashed during the Farmers Guardian-sponsored Beltex premier sale held at Carlisle, which saw the highest number of entries sold in the sale’s history. The record price of 27,000gns was achieved by Kingledores Crusader, a Glantre Armani son out of Kingledores Pearl from Richard Wood and family, Biggar. Reserve male champion at the Royal Highland Show, it caught the eye of Northern Irish breeders Wade and Alison, McCrabbe. The price-commanding exhibit sold for almost four times as much as the next best lambs, which hit 7,000gns each.